On the basis of the water-loving nature of Polyaniline (PANI), super hydrophilic polysulfone (PS) ultrafiltration membranes were prepared via in-situ polymerization of aniline on the surface of the membrane. Growing polyaniline in-situ leads to permeability enhancement of the ultrafiltration membrane. Surface-attenuated total reflection Fourier transform infrared spectroscopy, Atomic force microscopy, Scanning electron microscopy and energy dispersive X-spectroscopy and water contact angle demonstrated the successful attachment of PANI on PS membrane surface. 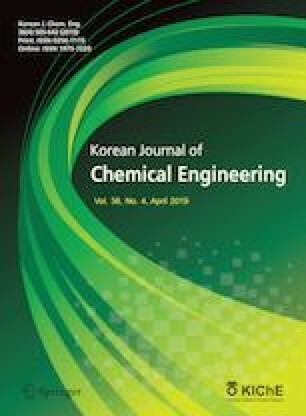 Modified membranes containing increased amount of PANI were compared to the unmodified PS membrane to estimate the change in membrane performance, hydrophilicity and anti-fouling properties. PANI modified membranes showed higher water fluxes in comparison to unmodified membranes, while protein rejection was almost similar in both PANI modified and unmodified PS membranes. Atomic force microscopy and contact angle measurements confirmed increased membrane surface hydrophilicity with increasing PANI content. Fouling study and flux recovery experiments revealed that modified membranes exhibit higher flux recovery ratio (65%) and more stability to strong cleaning agents.